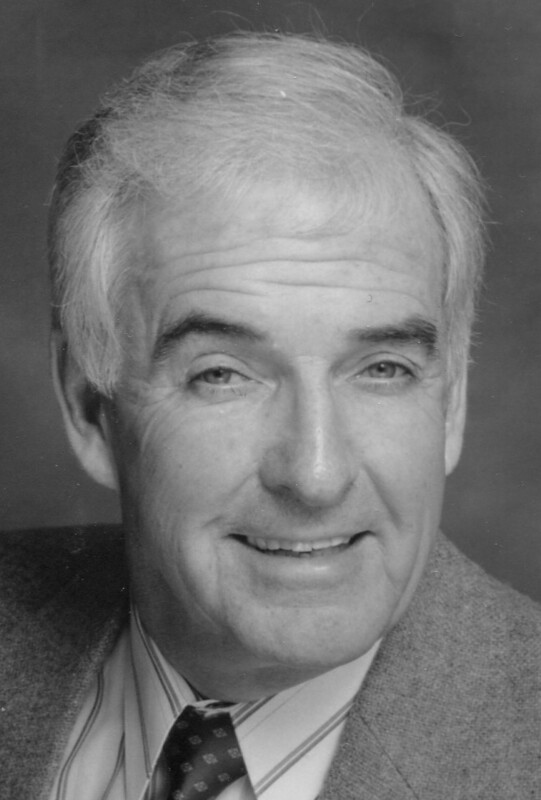 Raymond F. Ralls, 79, a member of a well-known Greater Lowell family, died August 4 at Mass General Hospital in Boston surrounded by his loving family. He was the beloved husband of the late Pauline C. (Morin) Ralls who died May 5, 2013. Born in Lowell, Massachusetts, May 17, 1939, a son of the late Edward T. and the late Florence (Kershaw) Ralls, Ray was a lifelong resident of Lowell. Ray served his country as a member of the U.S. Army and Massachusetts National Guard. Ray was a manager with the printing division at Raytheon Corporation in Tewksbury where he worked for almost 40 years. In addition, he was the owner and operator of the former Bellview Printing Company in Lowell and a part owner of the former National Security Company, prior to his retirement. Active in his community, Ray was very humble in nature but generous with his time especially helping those in need. He was part of a group which formed both the Middlesex Shelter and the Lowell Food Pantry. Ray also helped St. Patrick’s Church in Lowell and was recently awarded the “Irish Man of the Year” by the parish. A person of great faith, he was a proud communicant and longtime supporter of the Immaculate Conception Church. He was a founding member of the Oblate Mission Guild at the Immaculate Conception Church and was a member of the St. Vincent de Paul Society of his parish. He was also a former Board member of the Lowell Housing Authority and the YMCA where he was also an honorary member. Ray’s biggest joy was spending quality time with his family and friends. Ray treasured his vacation time spent at the beach with his family as well as time spent boating with his wife Pauline. Ray was blessed to have a strong network of close friends with whom he enjoyed both charitable endeavors as well as many card games in both Las Vegas and on their riverboat. Ray is survived by his daughter Patricia Mullally and her husband Timothy of Quincy; a son-in-law Peter J. Goyette of Lowell; six grandchildren Matthew Goyette, Shane Goyette, Finley Mullally, Molly Mullally, Tyler Ralls and Angelina Ricadelli; a brother Austin Ralls and his wife Carolyn of Chelmsford, four sister-in-laws Mary Ralls of Lowell, Jeannine Dunn and her husband John of Dracut, Lorraine Baroni of Billerica and Muriel Maher of Dracut: and many nieces and nephews. He was also the father of the late Sharon M. Goyette who died April 9, 2018 and the late Thomas E. Ralls who died March 10, 2018. Friends may call at the O’DONNELL FUNERAL HOME 276 PAWTUCKET ST. at Fletcher from 4 to 8 P.M. Tuesday. His Funeral will take place from the Funeral Home Wednesday morning at 10 o’clock followed by his Funeral Mass at the IMMACULATE CONCEPTION CHURCH at 11 o’clock. Burial in St. Mary Cemetery, Tewksbury. E-condolences/directions at www.odonnellfuneralhome.com. Those wishing may make contributions in his memory to the St. Vincent de Paul Society of the Immaculate Conception Church, 3 Fayette St., Lowell, MA 01852. Arrangements by Funeral Director James F. O’Donnell, Jr. (978 or 866) 458-8768. I was a long time tenant of Ray. I went through numerous health issues during my tenancy. Ray was extremely understanding. Helpful beyond expectations. The world lost an angel when Ray departed this mortal plain. I owe it to him to do my best to replace his influence. My deepest condolences to the Families of Ray Ralls. Ray was a blessing to those who had the pleasure of meeting him. He was very giving to those in need. I met Mr. Ralls at the Avenue of Support, getting supplies to send to the soldiers in Iraq and preparing for a rally to support our troops alongside with Mr. Walter Bayliss. I will miss both of these gentle giants.